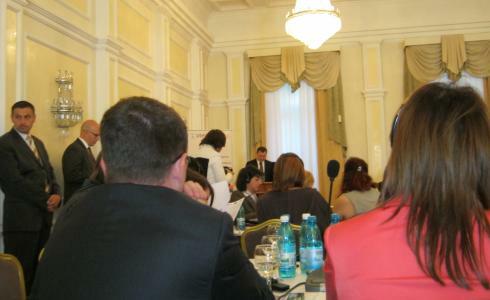 26-27 September 2011 took place International Conference on State Financing of Civil Society Organizations: New opportunities for development of Civil Society Organizations in Moldova. 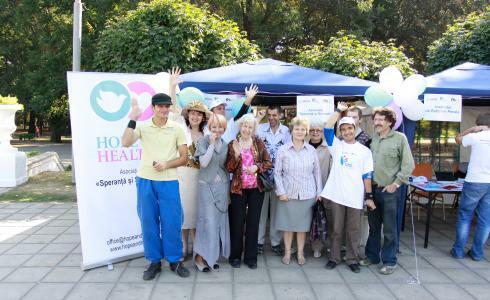 Hope and Health Association attended the Fair of NGOs held on Friday in the Square of Triumph Arch under the slogan "Know the NGO which represent you"
Beneficiaries and ordinary people visited the Fair of NGOs to learn more about the activities of NGOs. Also, the event was attended by officials and media partners: Info Prim NEO, Ziarul de Garda, Unimedia and Jurnal TV. 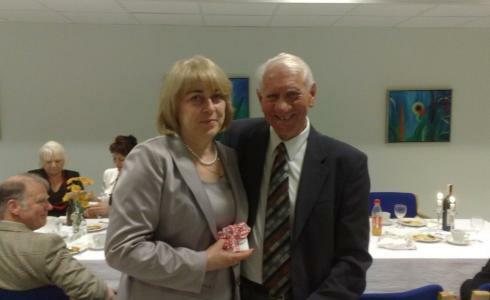 September 5-10, 2011, a delegation from Moldova (Andreiciuc Ludmila, Berejan Ecaterina, Scoriatin Ludmila) have visited in Norway with the aim to get acquainted with the Norwegian experience of adult disabled people employment and integration into normal life. Our NGO of parents having adult mentally disabled children deals with the same problems and our legislative system in Moldova makes only the first steps in this direction. That is why their activity and achievements are so valuable to us. September 1 - the beginning of the school year. On the first day the teachers of the rehabilitation centre did not spend lessons. The beneficiaries only wrote an essay on the subject: what they would like to do in the rehabilitation centre. Wishes were different. The most common is: a lot of entertaining games, music lessons, daily meals, swimming, sports, etc. After the summer holidays, the beneficiaries and their parents had awaits a surprise. Union of Churches of Evangelical Faith Christians of RM has allocated to our Association humanitarian assistance in the form of clothing and footwear. This is a huge help for our beneficiaries, so as to buy clothes for them is almost impossible.